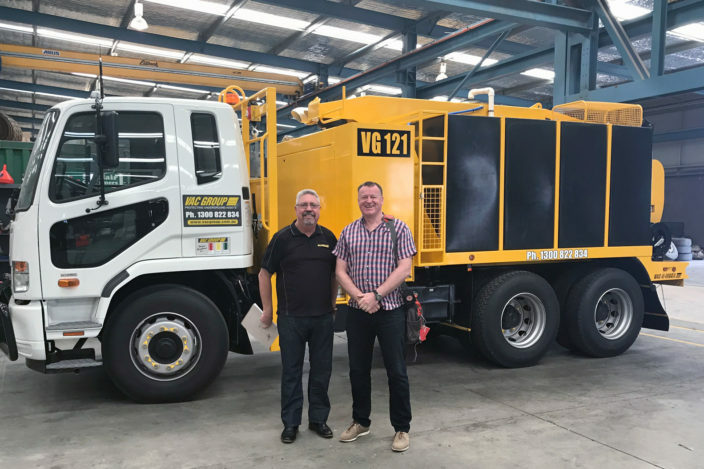 Partners Finance & Lease’s Commercial Finance Manager, Clive Murden had the pleasure of visiting provider of underground asset location, mapping and excavation services Vac-U-Digga on a recent trip to Australia. With a large presence in Australia and New Zealand, VAC Group designs, builds and operates vacuum excavators far and wide. Supplying 2,000 to 8,000 litre vessels, these yellow machines are far from ‘itsy bitsy’. Clive caught up with the team and was treated to a tour of their manufacturing plant.